S Brubeck Summer Jazz Colony, Stockton. The Summer Jazz Colony is a one-week, intensive educational program in jazz performance for a very limited number of exceptionally talented students. They come from throughout the United States and beyond to study with Brubeck Institute faculty, guest artists and master teachers, in combo rehearsals, master classes, classes in jazz theory and advanced jazz improvisation, and seminars on the music of Dave Brubeck and other topics. 8/3-10. Contact: 209-946-3196. S Hidden Valley Music, Carmel Valley, offers learning opportunities for extraordinarily talented musicians. Master classes are immersive intensives led by musicians from top performing and teaching institutions. Participants enjoy valuable opportunities for learning and advancement as well as creating relationships within the musical community that can last a lifetime. Flute with Keith Underwood 6/7-14. Ali Ryerson Jazz Flute Master Class 6/7-14. Elaine Douvas Oboe Master Class 6/15-21. Robert Walters English Horn Master Class 6/2-7. Emil Khudyev Clarinet Master Class 7/22-27. Mark Kosower Cello Master Class 8/12-18. Tuition with housing $1,150. Contact: [email protected], 831-659-3115. Composition Workshop. Young composers ages 13-19 study and write works for small forces through daily classes in harmony, orchestration and compositional techniques. Guest artists perform students works in recital. Admission by interview and submission of at least one previously composed work. Tuition $2,500. 6/24-7/19. 15 students, 1 teacher. Gilbert & Sullivan Scenes. The Gilbert & Sullivan Scenes program explores the Topsy-Turvy world of rollicking pirates, damsels in distress, and modern Major-Generals! Lamplighters Music Theatre artistic staff directs daily classes in singing, acting, and stage movement. The program culminates in a fully staged and costumed performance. Admission by audition. Tuition $900. 6/17-29. 38 students, 9 teachers. S Wildwood Music Camp, Irvine. In San Bernadino Mountains. Two 7-day week live-in programs of instruction in band, orchestra, and chamber music for intermediate and high school students, culminating in concerts each week. Inter­mediate: 7/7-14, Senior High: 7/14-21. S A Flutes by the Sea Masterclass, Half Moon Bay, is a masterclass open to advanced high school, college, and adults. Tuition $500 performer, $95 auditor, Housing TBA. June 11-15. Unlimited participants. Masterclass teachers Erika Boysen, Alice K. Dade, Viviana Guzman, Jose Valentino. Junior Artist Seminar. In two weeks of intense immersion in music, students hone their skills and develop their unique musical voices through composition, ensembles, performance, and private tutorials. Additionally, students collaborate to compose a new orchestral work for the final concert. Opportunities for growth are unparalleled Open to ages 13-17. Tuition with housing $2,500. 6/4-16. Junior Music Program. Faculty members guide students to develop their unique musical talents in a supportive and inspirational community. The camp curriculum is varied, comprehensive, and fun: students immerse themselves in music through private lessons, chamber ensembles, orchestra, choir, fiddling and jazz improvisation classes, and more. Open to ages 10-16. Tuition with housing $2,500. 7/16-28. Jazz Program. This program offers one week of immersion in the performance, theory, and history of jazz. We welcome students of all levels, from those whose study of jazz is just beginning to experienced improvisers. Through individual instruction from our expert faculty, students explore improvisation within the jazz idiom and examine the solos of jazz legends. Performances in combos and small ensembles improve listening skills, teamwork, and musicality; performances in large ensembles tackle big-band tunes by greats such as Count Basie and Thad Jones. Students also have the option to study the theoretical side of jazz through big-band arranging and composition classes. Open to ages 13-17. Tuition with housing $1,150. 7/30-8/4. S A Rocky Ridge Music Center Young Artist Seminar, Estes Park. Open to students age 18-24, this program offers private lessons chamber ensembles, orchestra, concerto competition, performance classes, masterclasses, recitals, and panel discussions. Tuition with housing $4,025. 6/18-7/14. Contact: 970-586-4031, [email protected] rockyridge.org. S University of Central Florida Flute Boot Camp and Summer Flute & Piccolo Institute, Orlando. Contact: 407-823-3696, [email protected] University of Central Florida Flute Boot Camp is a three-day intensive program designed to educate and inspire middle and high school flutists with daily masterclasses, individual coachings with fitness classes, yoga, and Zumba. Tuition w/housing before May 1 $220, after May 1 $270. Tuition alone $120. 15 participants. Masterclass teachers Nora Lee Garcia-Velázquez, Irene Pruzan. University of Central Florida Summer Flute and Piccolo Institute is a one-week intensive flute performance program for middle and high school flutists. The curriculum includes daily masterclasses, individual coachings, flute choir, and a closing recital. Tuition w/housing $525 before May 1 after $575. Tuition alone $325 before May 1 after $375. June 10-14 High School or June 24-28 Middle School only. 30 participants per session. Masterclass teachers Nora Lee Garcia-Velázquez, Irene Pruzan. Summer Music Institute, is for serious musicians in grades 10-12. Students participate in a chamber ensemble, attend lectures, and laboratory exercises for advanced musicians. Open to string, wind, brass, piano, percussion, voice, and guitar students. Tuition $450, with housing $550. 6/2-6. Summer Music Camp is for students in grades 6-12 who have studied an instrument for at least one year. Students rehearse, take private lessons, attend musicianship classes, perform, and have daily masterclasses with UGA faculty. Tuition $450, with housing $550. 6/2-6. Marching Band Camp is for students in grades 9-12 who wish to develop skill in such areas as drum major, marching percussion, color guard, and band leadership. Tuition $450, with housing $550. 6/9-13. S Anderson University Orangehaus Music Business Camp, Anderson. S Stringfest at Anderson Uni­versity, An­derson. S College Audition Preparation Work­shop, Bloomington. S Music For All Summer Symposium, Muncie. S Jamey Aebersold’s Summer Jazz Workshops, Louisville. Our workshops have earned a reputation for producing the best intensive programs for learning jazz improvisation. Each year we assemble the nation’s leading educators and performers dedicated to providing an intensive learning experience for musicians of all ages and ability levels. are open to students of all ages and abilities. Theory classes, ear training, combo performance, masterclasses, and jam sessions allow students the opportunity to grow and develop to their fullest potential. Beginner improvisers and seasoned pros will leave with tons of new and exciting ideas about how to improve their playing. Week-long workshops: 6/30-7/5 or 7/7-12. Two-day workshops: Anyone Can Improvise: 6/29-30; Guitar/Bass/Drum 6/29-30 or 7/6-7. Contact: 812-944-8141. A Visual Design Retreat, Cape Cod. The award-winning Spirit of America Band presents its 9th annual Visual Design Retreat for all aspiring and experienced drill designers. The retreat includes daily seminars on creating, evaluating, and presenting drill, as well as opportunities for independent work and individual instruction. All skill levels welcome. A complimentary, timed version of the latest Pyware software will be provided to each participant. Tuition with housing $1,500. 6/17-21. Contact: 508-255-4044. S Seminar 2019, Kalamazoo. Western Michigan University’s Seminar is designed to serve as an enjoyable, pre-college experience for serious musicians in grades 9 through 12, including 2019 graduates. It promotes artistic, social, recreational, and cultural interaction among the participants. Acceptance and scholarship decisions are based on a recorded audition and music teacher endorsement letter. 7/7-20. Contact: 269-387-4678. Eastman Experience: Summer Jazz Studies. This rigorous two-week program provides an intensive, performance-based experience for highly motivated students in grades 9–12 and is suited for those considering jazz studies at the collegiate level. Students work directly with the renowned Eastman School of Music jazz faculty in a program designed to enhance improvisational and ensemble skills. Tuition with housing $2,423. Tuition alone $1,360. 6/30-7/12. 40 students, 12 teachers. Telephone 585-274-1404. The Artistic Flutist: Bonita Boyd Inter­national Flute Masterclass. A 4-day intensive study featuring daily flute master classes led by legendary Eastman pedagogue Bonita Boyd. Open to performers (chosen by audition) and auditors (no audition required). Tuition with housing: performers $665; adult auditors $200; high school auditors $100. 7/28-31. 30 performers, 20 auditors, 4 teachers. Telephone 585-274-1074. Eastman Saxophone Project Institute. A new one-week institute led by Eastman saxophone professor Chien-Kwan Lin, focusing on saxophone ensemble performance and technique. Pairs well with our classic Eastman Summer Saxophone Institute (7/14-21); students may attend both weeks if pre-approved. Tuition with housing $2,318 (1 credit), $1,418 (noncredit). 6/26-30. 20 students, 1 teacher. Telephone 585-274-1074. APSI Music Theory - Teacher Training. For high school teachers seeking certification to teach AP Music Theory. This course is endorsed by the College Board. Tuition with housing $2,075 (1 credit), $905 (noncredit). Tuition alone $1,670 (1 credit), $500 (noncredit). 6/26-30. 20 students, 3 teachers. Telephone 585-274-1074. Orff Schulwerk Teacher Education Course, Levels I and III. AOSA level certificates awarded upon completion. Tuition with housing $6,063 (3 credits), $1,908 (noncredit). Tuition alone $5,010 (3 credits), $855 (noncredit). 7/15-26. 35 students per level, 4 teachers. Telephone 585-274-1074. Instrumental Methods and Techniques. For instrumental, vocal, and general music teachers at all levels who wish to improve their musicianship skills for teaching. Tuition with housing $6,033 (3 credits), $1,868 (noncredit). Tuition alone $5,010 (3 credits), $815 (noncredit). 7/22-8/2. 12 students, 1 teacher. Telephone 585-274-1074. MusiKinesis: Music, Dance, Dalcroze. For dancers and musicians alike, MusiKinesis connects sound and movement to enrich teaching and performance. Tuition with housing $2,075 (3 credits), $1,030 (noncredit). Tuition alone $1,670 (credit), $625 (noncredit). 7/22-26. 12 students, 2 teachers. Telephone 585-274-1074. Keys to Healthy Music. Explore key components of healthy musicianship for performance enhancement as well as prevention of performance-related musculoskeletal disorders. Tuition with housing $543. Tuition alone $300. 7/18-20. 20 students, 1 teacher. Telephone 585-274-1074. S ECU Summer Band Camp, Green­ville, is a week-long concert and jazz camp that includes large ensembles, sectionals, musicianship classes, and private lessons for approximately 380 middle and high school students. Afternoon/eve­ning activities, such as use of student recreation center (with swimming pool), movie night, and dance with DJ are included. Tuition with housing $460, tuition alone $300. 6/16-21. Contact: [email protected], 252-328-1251. S A University of North Carolina School of the Arts Summer Music Programs, Winston-Salem, At UNCSA, summer offers aspiring musicians of all ages rich learning experiences and an abundance of opportunities to perform. As a SummerMusic student, you will be immersed in an intensive and supportive musical environment with School of Music faculty and guest artists who are both world-class performers and dedicated teachers. Wonderful concert halls, an extensive music library and a conservatory campus that brings together students and teachers in all the arts make SummerMusic @ UNCSA a one-of-a-kind program. Most music workshops are for age 12 and up, with some exceptions as stated in the program curriculum. An audition is required for admission to most of the SummerMusic workshops. Audition required. Sessions during 6/12-7/20. Contact: 336-770-3399. S Bowling Green State University Summer Music Institute, Bowling Green, features week-long intensive camp sessions on a college campus. Students work with BGSU Music Faculty and Guest Artists. All of our camps welcome high school students; strings and double reed camps welcome junior high students with at least one year of playing experience. Tuition $315, tuition with housing $525. Session 1: 6/16-21 (double reed, piano, voice, strings), Session 2: 6/23-28 (brass, musical theater, percussion, saxophone), Con­tact: 419-372-2506. Young Composers Program is a weeklong program for composition students ages 14-19, who wish to immerse themselves in contemporary music. Students learn about new music while developing creative and professional skills. Included are private lessons, listening sessions and workshops on notating musical ideas. Student compositions will be presented at a final concert. Tuition $870. 6/9-15. 15 students, 3 teachers. Summer Sonata is a weeklong piano program for ages 12-18. Audition is required. Daily activities include lessons, classes in theory and Eurhythmics, form/composition, improvisation and literature. Guest artists are Spencer Myer, Piano Faculty, Longy School of Music, Caroline Oltmanns, Head of Keyboard Studies, Dana School of Music and the Westhuizen Duo. Tuition with housing $,315, tuition alone $870. 6/23-29. 20 students, 10 teachers. S The Youth Summer Music Pro­grams, Columbus. The Youth Sum­mer Music Programs is a diverse series of 8 programs for musicians, grades 4-2019 high school graduates. Day and resident programs (with a commuter option) cover a wide range of interests and instrument specialties; offering private lessons, group experiences, chamber ensembles, master classes, performances, and more. Tuition with housing $375-$495, tuition alone $275-$395. Various sessions available from 6/2-7/14. 60 students, 10 teachers. Contact: [email protected], 614-292-4280. S Young Composers Program, Cleve­land, is a one-week experience that gives composition students ages 14-19 the opportunity to immerse themselves in the world of contemporary music. YCP helps composition students learn about the field of new music while developing creative and professional skills. The 2017 program includes private composition lessons, daily listening sessions and workshops on notating musical ideas. 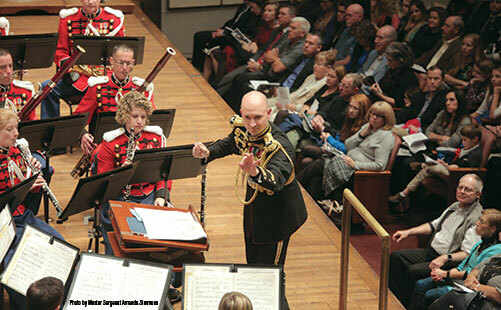 Preparation and performance of student compositions will be presented at a final concert. 6/9-15. Contact: 216-791-5000. S Carnegie Mellon Pre-College Music Program, Pittsburgh, hosted by the Carnegie Mellon University School of Music. Pre-College Music gives high school students the opportunity to improve as a musician and learn about life in a conservatory-style college curriculum. Through­out Pre-College Music, students gain valuable experiences; by being immersed in a conservatory style curriculum and in preparing for college auditions, while experiencing what life is like within an internationally-recognized, research university. The program includes six weeks of lessons and coaching that aid in choosing and preparing appropriate repertoire for undergraduate auditions. Pre-College Music also very closely mirrors the first six weeks of the undergraduate first-year curriculum - students take the same coursework, with the same schedule, classrooms, faculty and program rigor as first-year under­grad­uates. Application deadline: 5/1. Tuition with housing $8,573, tuition only $6,088. S Sphinx Performance Academy at Curtis Summerfest, Philadelphia. Intensive chamber music, solo performance: private lessons, master classes, recitals, career enrichment sessions. Full-scholarship summer program designed for Black and Latinx string players. Instruments: violin, viola, cello. Participants must be 11-17 years of age, U.S. citizens or legal residents of the U.S., Black or Latinx descent. 6/9-23. Contact: [email protected], 215-717-3167. An addendum will be printed in April. If your camp was not included, email [email protected] This Directory is also available online at www.theinstrumentalist.com. No login required.